As we come up to the 500 year anniversary of Reformation Day, when Martin Luther tacked his revolutionary list of exceptions to current church practice and belief to the Castle Church door in the German town of Wittenberg, we’re faced with the realization that the Reformation embraced many more people than the popular telling of history enumerates. Many more. Who do we think of when we think of the Reformation? Martin Luther & John Calvin are the first two most would name. Then with a bit more searching of the gray matter, maybe Philipp Melanchthon & Ulrich Zwingli. There are, of course, dozens more notables who played important roles in the drama that was the Reformation. One of them is the focus of this episode – a man and name that ought to be as prominent in our knowledge of this period as Zwingli or Melanchthon –> Marin Bucer, the Reformer of Strasbourg. Before we get in to his story, a little background on the situation in Germany is a good idea. As moderns, we’re used to thinking of history in terms of nation-states. Even as we think back to ancient times, we tend to cast the dominant empires as just very old versions of nation-states. That, despite the fact the modern nation-state of Western civ is a relatively recent invention. 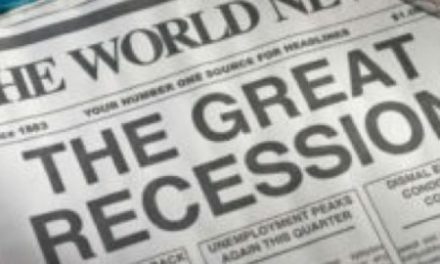 We must exercise caution as we review the history of Renaissance Europe and the period of the Reformation because it was this period of time that helped set the political climate for the eventual emergence of the modern world with its nearly ubiquitous carving up of the globe in nations with clearly defined borders. Voltaire once said, “The Holy Roman Empire was neither holy, Roman, nor an empire.” Yet, that’s what we call that collection of principalities that formed a loose political collection from the 9th to the 17th C. In the 16th C, the Holy Roman Empire was politically centralized in name only. It was composed of several politically different regions that put a significant check on the Emperor’s power. It was this division of power that made the Reformation possible, and helps explain why it took root in Germany rather than France or Spain. As the series we did in Season 1, The Long Road to Reform makes clear, there had been many attempts at reform of the Church prior to Luther and the early 16th C, but none had the Reformation’s success precisely because they usually took place in areas that were governed by a single monarch dedicated to Rome. The HRE Emperor Charles V was also Rome’s guy, but he only held his office due to the endorsement of 7 German prince-electors, who regularly differed from him on various issues. These powerful Electors and the noble-houses they were scions of had debated for years about the desirability of breaking with Rome. Martin Luther was able to succeed where others failed precisely because he arrived at a time when enough of these Electors had grown fed-up with Rome’s meddling, the Emperor was politically weak, and the common people universally recognized the corruption of the Church’s upper echelon. Martin Luther’s political region was Saxony, ruled by the powerful and well-regarded Elector Frederick III, known as Frederick the Wise. His successors, both named John followed Frederick’s support for Luther. The powerful Landgrave, Philip of Hesse, nestled West of Saxony & East of the Rhine, was another avid supporter of the Reformation. That support will play a key role in later developments for both Bucer & Luther. The Emperor walked a political tightrope as he sought to balance the demands of his these tetchy electors, dozens of lesser principalities, and the growing number of politically powerful free imperial cities ruled by councils that often acted as sovereign governments. As if that wasn’t enough, Charles V also had war on multiple fronts to deal with, France in the West, the Ottomans in the East, and Italy to the South. The Reformation leaders realized the time was ripe for them to sever ties with Rome since the Emperor needed their support to deal with the external threats. It was a political perfect storm for a religious movement to emerge. Martin Bucer was born in the French region of Alsace, next to Germany, in the free imperial city of Schlettstadt. His family were coopers by trade – barrel-makers. Nothing’s known of Martin’s mother. His hometown boasted a well-known school where families of the Bucer social class sent their children. He graduated there in 1507 then, at his grandfather’s insistence, became a monk-novice in the Dominican Order. A year in, he was made an acolyte in Strasbourg where he took vows as a friar. By 1510, he was ordained a deacon. Bucer then began studying theology in the Dominican monastery in Heidelberg 5 yrs later. A brief trip to Mainz saw him taking a course in dogmatics and ordination as a priest. In 1517, he returned to Heidelberg to enroll in the university. It was there that Bucer began to be influenced by the ideas of Erasmus and the humanists. It was also there at Heidelberg that everything was to change for him. In April 1518, Johannes von Staupitz, an Augustinian vicar-general, invited an upstart Augustinian monk named Martin Luther from Wittenberg to debate that monks increasingly troublesome views. This debate is known now as the Heidelberg Disputation. It’s where Bucer met Luther for the first time. In a long letter to his friend, Bucer recounted what he learned, commenting on several of the theses Luther had posted, where then printed up and spread all over Germany. They were the points Staupitz wanted to dispute. But Bucer found himself intrigued by them, doubly so after hearing Luther’s defense. He agreed & found in Luther’s points much to connect with his emerging humanist ideas. The following year, Bucer received his degree, and while giving his disputation before the faculty of Heidelberg, made clear his theological break with Aquinas and Scholasticism. Bucer’s next step in joining the Reformers was his departure from the Dominicans. That story is interesting and reads like a novel. The Grand Inquisitor of Cologne was the Dominican, Jacob van Hoogstraaten. He launched an inquiry into the teaching and views of the famous humanist scholar Johann Reuchlin. Now, in some places, like Spain, once the Inquisition set its sights on someone, everyone else beat a hasty retreat, lest suspicion fall on them as well. Not in Germany. Things were different there precisely because of the much weaker political structure. So when Reuchlin fell afoul of Hoogstraaten, several German nobles took Reuchlin’s side, forcing Hoogstraaten to back down. Thwarted, he now was compelled to prove his title of Grand Inquisitor was deserved ad set his sights on Bucer, who he felt was an easier and more vulnerable target. When word reached Bucer he was now in the Inquisition cross-hairs, he decided to leave the Dominicans. Friends in the Order expedited the annulment of his vows, which were officially severed in April 1521. Though the Inquisition was now technically not able to go after him, it could work to see the annulment of his vows reversed. So over the next 2 yrs, the nobles who’d back Reuchlin came to Bucer’s aid as well. He went to work as a chaplain in the court of the Elector of The Palatine and lived in the city of Nuremberg, the most powerful city of the Empire. The city government was a major supporter of the Reformation and the city became something of a magnet for Reformers. It was there Bucer met many who shared his views. In the Fall of 1521, Bucer accepted an offer to become pastor at Landstuhl. The next Summer, he met and married a former nun named Elisabeth. The city of Landstuhl was the center of one of Bucer’s noble defenders, Franz von Sickengen, a German knight of confused reputation. Sickengen seems something of an opportunist who sided with commoners when it served to increase his wealth and prestige, then to back nobles for the same reason. 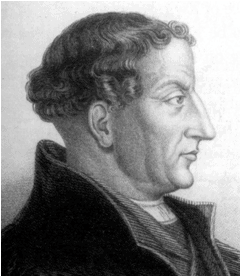 He was something of a political pragmatist who saw in the Reformation a way to both advance his personal agenda while giving vent to his loyalty to the German people. He’d built himself a virtually impregnable castle at Landstuhl; at least impregnable by medieval styles of siegecraft. It became the scene of his ultimate defeat in 1523 when in a battle with other German nobles artillery was used for one of the first times. Wanting to advance the Reformation in his capital, Sickingen sent Bucer to Wittenberg for further study with Luther and his assistant Melanchthon. He stopped in the town of Wissembourg on the way and was persuaded by the local reformer, Heinrich Motherer, to stay and work for a time as chaplain. Bucer went to work preaching sermons each day calling for immediate reform. His special focus was abuse in the monastic orders. He was an ardent advocate of the Reformation solas; Sola Scriptura & Sola Fide. He decried the Mass as a recapitulation of Christ’s saving work. He lambasted the monasteries as turning the Gospel into a system of salvation by works. Summing up his ideas in six theses, he called for a public disputation with his opponents, of which there were not a few. But the Franciscans and Dominicans ignored his challenge. Bad move on their part because it seemed to say to the local townspeople that they were afraid of not being able to refute Bucer’s charges of corruption. Those townspeople, further agitated by Martin’s sermons, began threatening the local monasteries. That was too much for the bishop at Speyer who then excommunicated Bucer. In a sign of the way things would go across Germany in the decades that followed, the town council decided to support the now persona-non-grata Bucer, rather than jail or exile him, thereby serving Rome it no longer aligned under its leadership. Events beyond the Wissembourg town-limits put Bucer in peril. His benefactor, von Sickingen, was defeated and killed during the Knights’ Revolt I just mentioned. The Wissembourg council urged Bucer to leave. He fled to nearby Strasbourg. It was May 1523, and it’s there that Martin Bucer had his greatest impact. Though Bucer arrived in Strasbourg as a political refugee with no visible means of support and no legal rights as a citizen, within 3 months he’d become a settled fixture and influential voice there. Upon his arrival, Bucer immediately wrote to Ulrich Zwingli in Zurich, asking for a post there were he could help the burgeoning Reformation cause. Before he heard back, the reformist-minded Strasbourg city council asked him to assist their local pastor by serving as his chaplain. Bucer began teaching Bible and was so effective one of the local guilds appointed him as the pastor of St Aurelia’s Church. Strasbourg couldn’t have the pastor of one of its most influential church not be a citizen, so citizenship was granted. Bucer was joined in Strasbourg by a team of capable minds all united by the Reformation Cause. Matthew Zell, Wolfgang Capito, & Caspar Hedio. Early on, Bucer called for a debate with Thomas Murner, a monk who’d attacked Luther with biting satire. Though Strasbourg’s council leaned toward the reformist camp, like so many German political leaders of this time, it tended to vacillate on installing Reformation ideas. 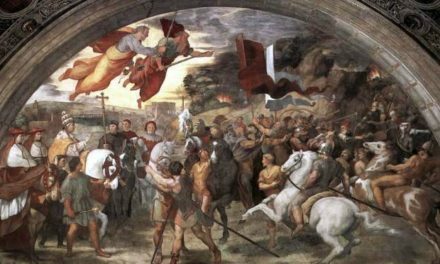 They wanted to reform the Church but balked at implementing changes to the civil sphere that would set them at odds with the Emperor and his allies. Because Bucer and his Reformer pals had the ear of the masses, hostility toward the civil magistrates grew apace with their hostility toward the Roman clergy. That hostility boiled over when a local Augustinian leader denounced the Reformers & Strasbourg city council as heretics. Furious mobs broke into and looted local monasteries. Opponents of the Reformation we re arrested, including that Augustinian leader. That proved the crisis that moved the Strasbourg council to realize if could not longer vacillate. They asked Bucer to produce an official statement clarifying for all what their theological position was. He drafted twelve articles outlining Reformation doctrine. Missing were such things as the Mass, monastic vows, veneration of saints, and purgatory. He specifically rejected the authority of the pope but emphasized obedience to civil government. The opponents to the Reformation who’d been arrested were released and exiled, ending any and all hurdles to the Reformation in Strasbourg. And all this before the Fall of 1523, the same year Bucer arrived there. Strasbourg’s reformers then set about to build a new order of service for their churches. As their basic template, they adopted the order already in use in Zurich by the churches influenced by Zwingli, then made some tweaks. In an ambitious move, they suggested that ALL churches of the Reformation adopt the same order and presented their proposal to the luminaries at both Wittenberg & Zurich. Before we carry on with Martin Bucer’s story, we need to pause for a narrative sidebar . . . THE central debate Reformers carried on among themselves, and the cause that ended up producing several different Reformation streams, was the doctrine of the Lord’s Supper, Communion, the Eucharist. Early on, a rift appeared between Martin Luther and the Swiss Reformers led by Zwingli. Avoiding an overly technical dissertation, let me summarize the 2 positions by saying that Luther adamantly affirmed a real presence of Christ in the bread and wine of communion, while Zwingli regarded the elements of Communion as symbolic memorials to Christ and His work. For long time listeners to CS, these views were rooted in the Christological debates of the 4th & 5th Cs we spent so much time on in both Season 1 and the Creeds series of Season 2. Luther emphasized the unity of Christ’s person, saying His human attributes were infused by His divine attributes, so He was present everywhere, including in the elements of the Lord’s Supper. Zwingli emphasized Christ’s dual nature as God and Man and that His body, while real, was resurrected and sat at the right hand of the Father in Glory. At the Marburg C olloquy where Lutherans and the Swiss met to seek concord, they were able to agree to 13 articles, but when could not achieve agreement on the last, detailing this issue of the presence of Christ in the Lord’s Supper. It’s been told that in the discussions between Luther and Zwingli, as Zwingli waxed long on a philosophical treatise supporting his position, Luther took a piece of chalk and wrote on the table in front of him, “This is my body.” As Zwingli kept talking, Luther just tapped the table beneath the words. As one biographer on this says, at Worms, Luther had announced that his conscience was held captive by The Word of God. There at Marburg, he clung to the same conviction. He would not allow himself to be swayed from Christ’s simple statement “This is my body” by the erudite and reasoned position of Zwingli. So intractable was Luther on this issue, and so suspicious did he become of Zwingli attempting to dissuade him, Luther went so far as to suggest the Swiss weren’t Christians. But that wasn’t something he regarded very long. Indeed, as the Marburg Colloquy wrapped up, Zwingli asked Luther to draw up a list of the things they agreed on as a standard for all Reformed churches. Luther and Melanchthon, really it was mostly the latter’s work, produced a total of 15 articles that became the standard accepted at Schwabach in 1529. Lutherans and the Swiss agreed on all but the last dealing with the Lord’s Supper. It reads thus . . . Regarding the Last Supper of our dear Lord Jesus Christ, we believe and hold that one should practice the use of both species as Christ himself did, [by “both species” is meant both bread & wine. Remember that the Roman Catholics only used the wafer. Reformers advocated using both bread & wine] and that the sacrament at the altar is a sacrament of [and here we see the distinct Lutheran doctrine of the real prese nce] the true body and blood of Jesus Christ and the spiritual enjoyment of this very body and blood is proper and necessary for every Christian. Furthermore, that the practice of the sacrament is given and ordered by God the Almighty like the Word, so that our weak conscience might be moved to faith through the Holy Spirit. [Then Melanchthon adds verbiage acknowledging the differing opinions of the Reformers] And although we have not been able to agree at this time, whether the true body and blood of Christ are corporally present in the bread and wine [of communion], each party should display towards the other Christian love, as far as each respective conscience allows, and both should persistently ask God the Almighty for guidance so that through his Spirit he might bring us to a proper understanding. This theological division not only caused massive theological problems, it produced a plethora of political problems. Those German princes who’d supported the Reformation had hoped for a religious harmony to support their break with both Rome and Emperor. A fractured Protestant church was both weak. Bucer recognized this and worked feverishly to affect a compromise that would unite the Lutherans and Swiss. His efforts resulted in several important documents. His views of the Lord’s Supper influenced Calvin, who also sought to affect a compromise between the two groups. Bucer’s work toward that end began just a year after arriving in Strasbourg and continued for several years. Bucer himself had abandoned a belief in the real presence of Christ in the elements after his own study. What troubled Martin was the insistence by both Luther and Zwingli on maintaining their positions in peril of their unity and the disharmony it engendered, allowing a rift that weakened them in the face of hostile parties. He asked for their unity to be based on what they agreed on, rather than disunity based on where they differed. Bucer’s story goes longer, but unfortunately, not this episode, so let’s wrap it up . . . He ministered in Strasbourg for 25 years, and while his attempts to reconcile the Swiss & Lutherans was unfruitful, he did achieve a shot-lived concord in 1536. But Bucer’s reputation was dealt a terrible blow by his support of The Count of Hesse’s bigamy that we’ve talked about in other places. It was Bucer who persuaded Luther to support Philipp’s secret marriage of a second wife. Along with Melanchthon, Bucer took part in the unsuccessful conversion of the Archbishop of Cologne in 1542. When the Protestant princes lost the Shmalkaldic War, the victorious Charles V convened a meeting at Augsburg to draw up articles known as the Interim. Bucer was “invited” to attend and be a voice for the drafting of the articles. When his edits were rejected, he was arrested and eventually coerced into signing them. But when he returned to Strasbourg, he attacked the Interim and continued his calls for reform of the church. The city council, now under close watch by imperial authorities asked Bucer to zip it. When he showed no sign of doing so they told him to leave. Archbishop Thomas Cranmer in England was watching events on the continent with interest. He invited Bucer & his pals who’d been booted from Strasbourg to come to England and help with the Reformation cause there. They arrived in April of 1549 and within days were introduced to King Edward VI. Bucer was given a position as a Professor of Divinity in Cambridge. In going to England, Bucer had great hopes of spreading the influence of the Reformation’s objective of simplifying the church’s liturgy. His reforms made little headway against the magisterial nature of the Church of England. His greatest influence is likely to be found in the second edition of the Book of Common Prayer which Cranmer asked him to review and edit. England proved to be an unhealthy environment for the now aging Martin. In 1551, his health finally broke and he died on the last day of February at the age of 59. Two yrs after his death, when Mary 1, AKA Bloody Mary came to the throne, as part of her effort to restore Catholicism, she tried Bucer posthumously for heresy. His casket was dug up, his remains burned, along with copies of his writings. When Elizabeth ascended the throne, she restored Bucer’s legacy. A brass plaque now marks the original location of his grave. Thanks, ‘Tis now, try again.